Bands survived by joining forces. One of the bands that merged with Summerbridge and Dacre Band was the Darley Band. 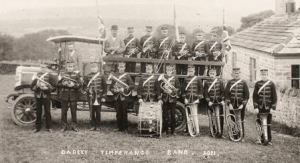 It was formed in 1901 as Darley Temperance Band. Seven of its members were of the Skaife family and five others were Housemans. Their first conductor was Redford Procter from Dacre, was in demand for agricultural shows around the district, for which in the early days it was necessary to hire a wagonette and horses for the journey. They played at annual village school fetes, and at the Darley Hospital Sunday Event on Stocks Green, local hospitals benefiting from collections at this event and others at churches and chapels. 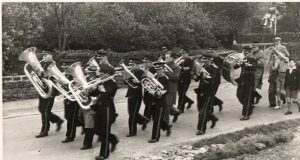 They led the procession through Darley at the Annual Rechabite Band of Hope Festival on Whit Monday, and were involved locally whenever there were national festivals, coronations, peace celebrations etc, and at many other local events, performing in their uniform of blue, red and gold. 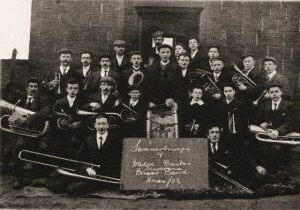 From 1932, the band rented a room in Wall, Square for their weekly practices. They kept going when many such bands disbanded, two members, Joe Furniss and J R Houseman, completing forty-five and thirty-eight years service respectively. Rename Darley Silver Band by the 1940s. When it was in a low period in 1936 Walter Aldon bought new uniforms to boost the morale. 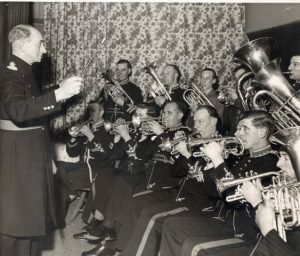 As with all the other bands it ceased to function during the war but re-formed in time to play for the opening of the Memorial Hall in 1947. 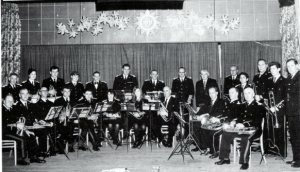 The band merged with Summerbridge and Dacre Band in 1959.